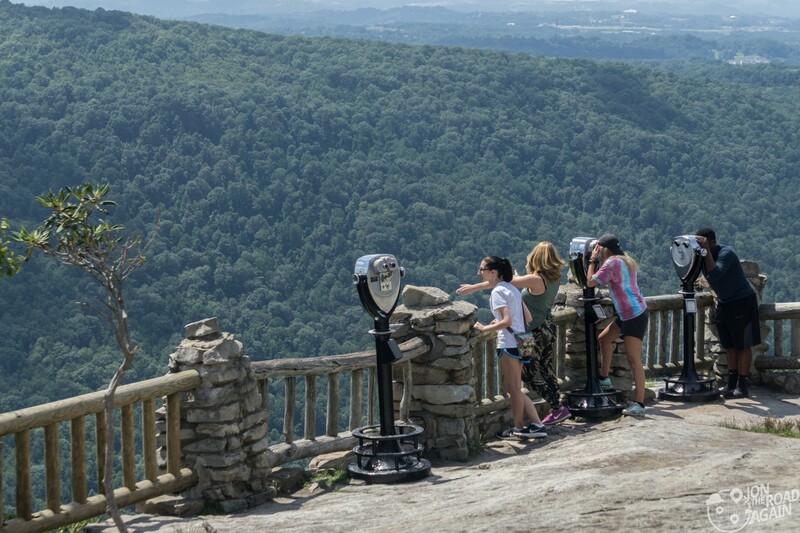 There is no better view in North-Central West Virginia than the one from Cooper’s Rock State Park. 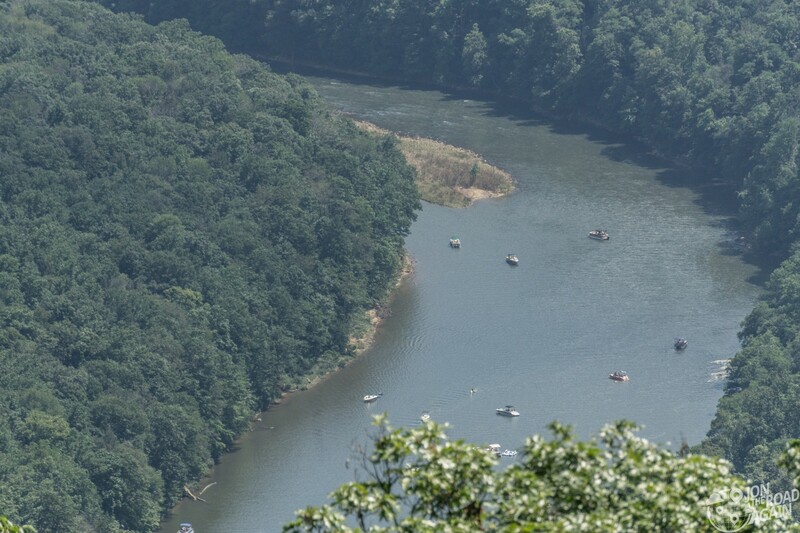 Located 13 miles from Morgantown, just a few minutes off Interstate 68, Cooper’s Rock is incredibly easy to reach. You’d never know these views are here from the interstate. What’s in a name? 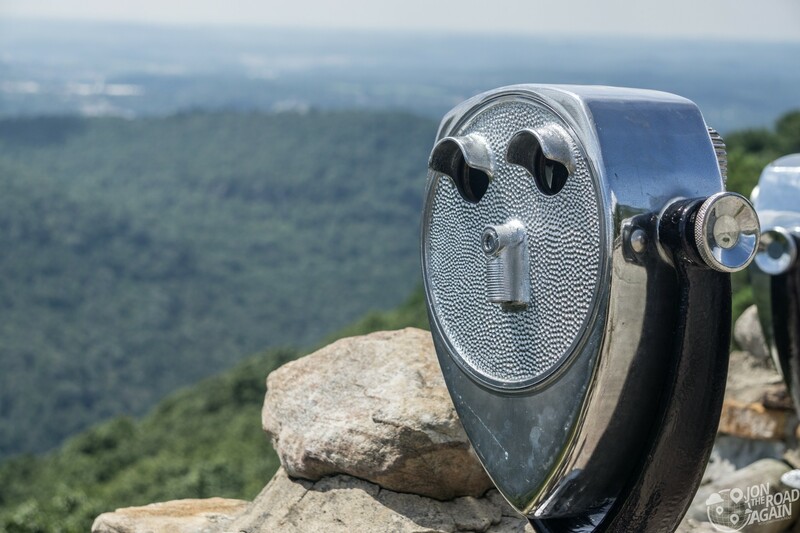 Legend has it that a fugitive from the law hid near what is now the overlook. A cooper by trade, he continued to make and sell barrels from his hideout while on the lam. Anyway, the overlook is on a rocky sandstone tower, so you’ve got to cross a short bridge to get to the rocky outcropping of the main overlook. 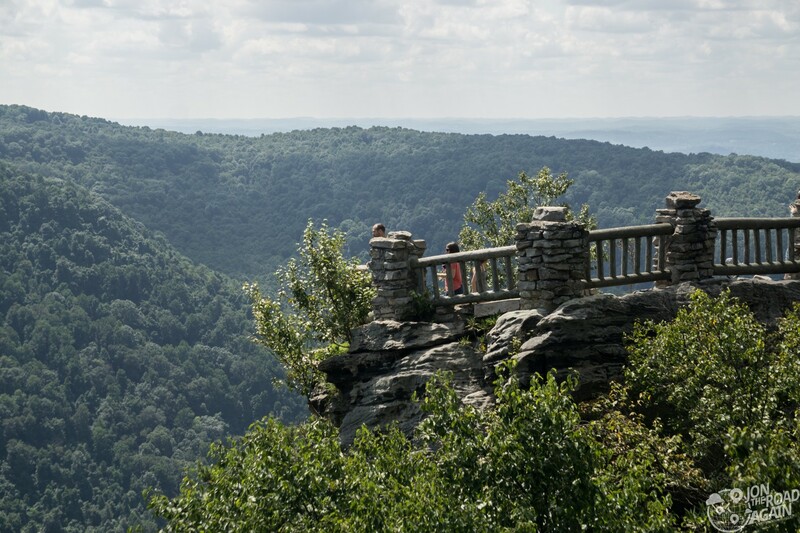 If you recall, sandstone also plays a part in the distinct shape of another West Virginia landmark, Blackwater Falls. The main attraction is the overlook. 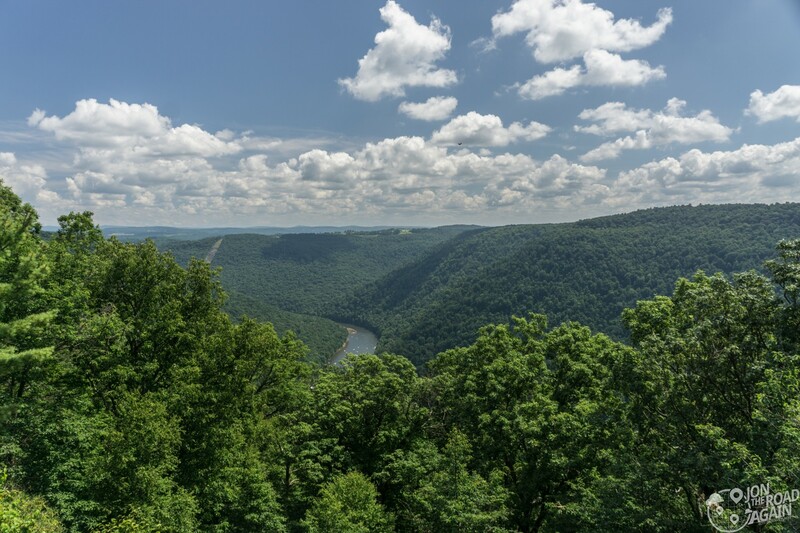 Perched 2,159 feet above Cheat River Canyon, you’re given clear views of the surrounding hills and hollers (those are valleys for you non-West Virginians). Directly across the canyon is the Snake Hill Wildlife Management Area. 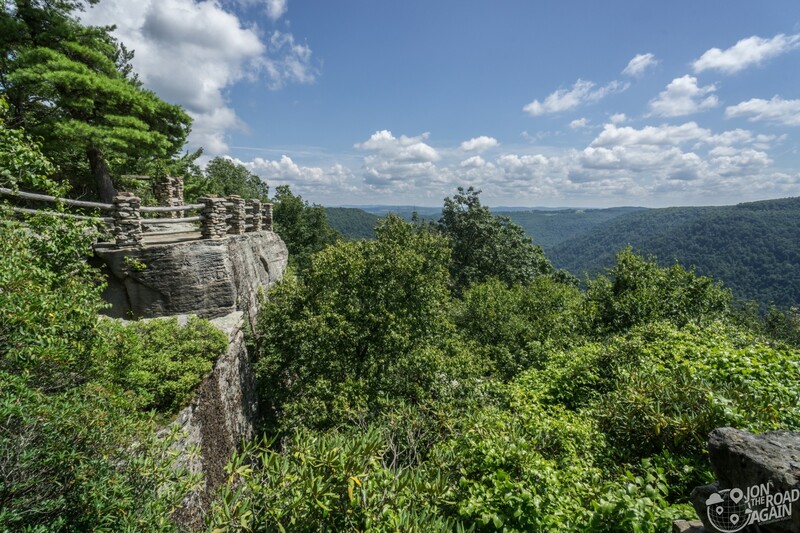 Protecting over 3,000 acres of Cheat Canyon, it keeps the views from the main overlook wild and wonderful. 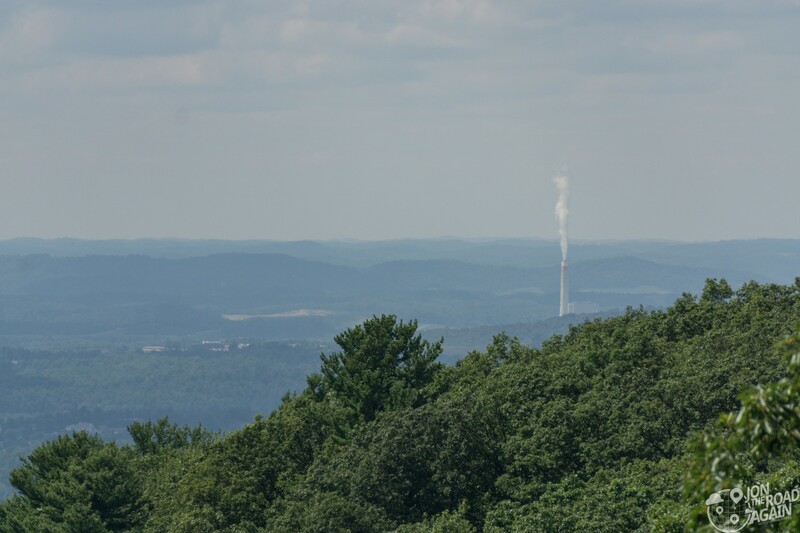 Cooper’s Rock State Forest protects over 12,500 acres of forest. This protection is a joint effort between the state’s Division of Natural Resources, Division of Forestry and nearby’s West Virginia University Forestry Program. There are many more rocky towers in the park, making for a prime rock climbing destination. The “Rock City Trail” takes you between two steep crags where you might see people climbing. 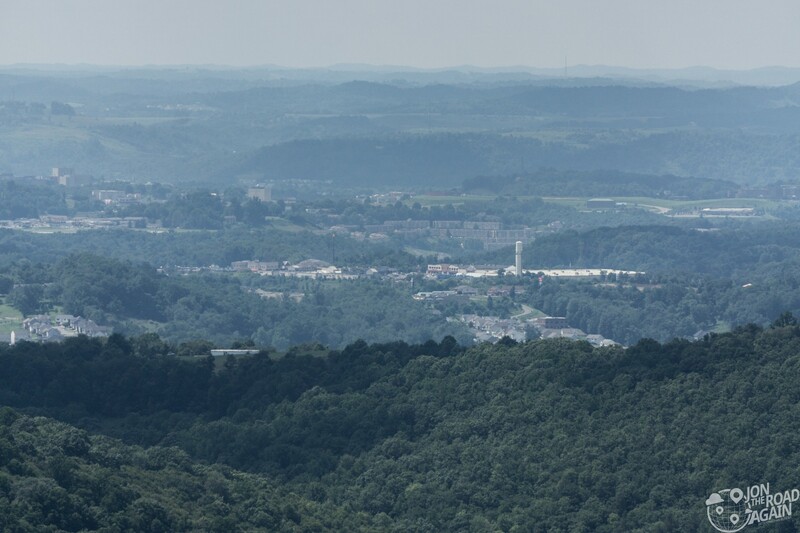 Looking to the west, the views are of the city of Morgantown and of the Fort Martin power plant. Lots of wildlife is in the park. You might see chipmunks, hawks, owls, many types of birds, fox, deer, turkeys, and turkey vulture. 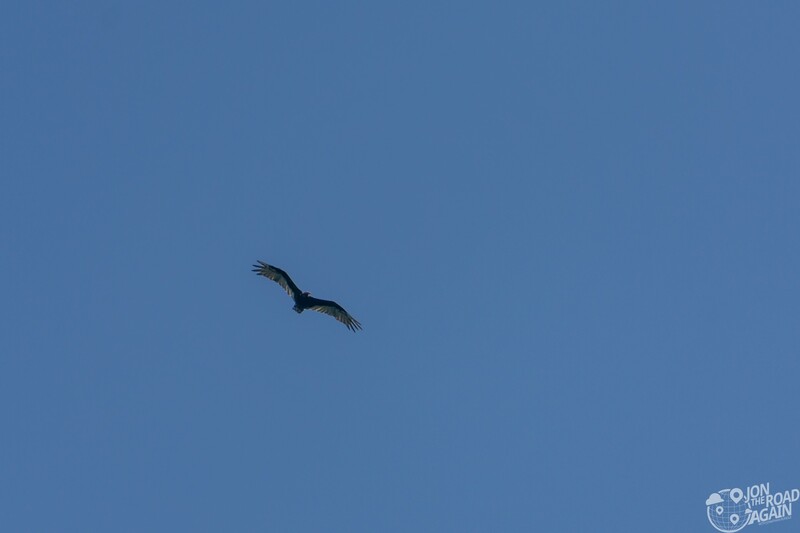 I’ve been called a turkey before, but thankfully this vulture wasn’t fooled. Many boaters are out on this lovely summer day enjoying the river. 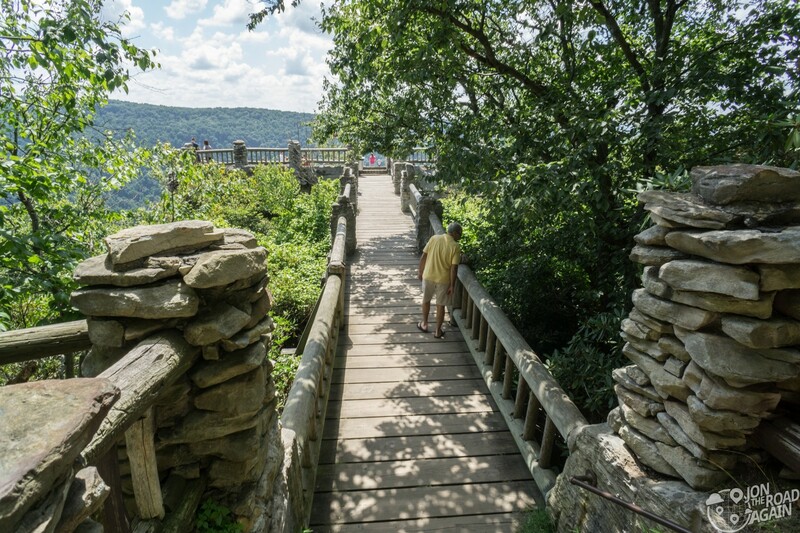 The existence of the overlook and many of the buildings here are the work of FDR’s New Deal-era Civilian Conservation Corps (CCC). From 1933 until 1942 over 3 million young men worked to preserve and protect some of America’s greatest natural treasures. A number of structures, eleven in fact, within the park’s boundaries are on the National Register of Historic Places. 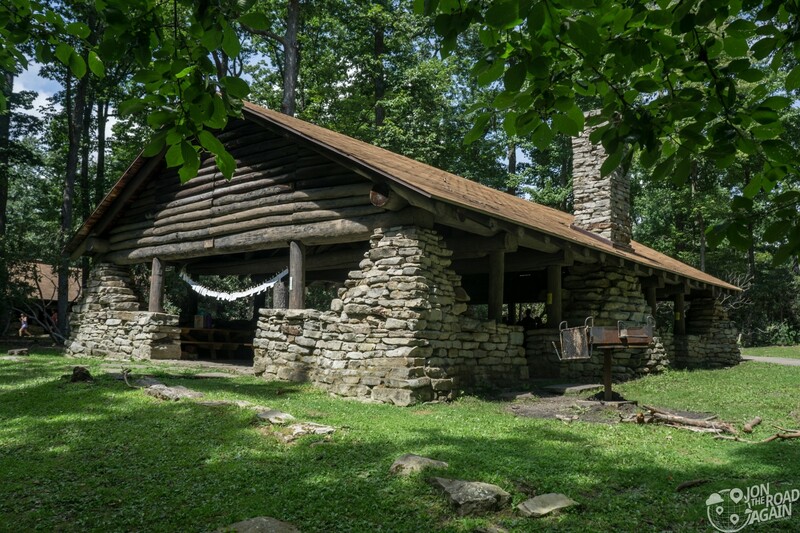 The CCC built these structures in the late 1930’s and they’ve stood the test of time. Even though completely different groups built these structures, I look at them and think of the fine work and craftsmanship that I’ve seen in parks elsewhere, like at Glacier National Park and Yosemite National Park. Lots of hiking opportunities are here throughout the forest and plenty of camping, too. Visit their website to find out more. Beautiful pictures! It was nice being there with you that day!